Alright Silhouette Cameo and Cricut Explore small business crafters, it’s time to switch from thinking summer and patriotic crafts to selling back to school. As I mentioned on Friday, my kids go back to school in a little over 2 weeks! Today, I wanted to share a quick and easy money maker: vinyl decal name decals. Since most schools require that everything you send with your child be labeled with their name, these are a quick and easy sell. What is a Name Decal Sheet? It’s a piece of adhesive vinyl where you have cut out names of a child for their parent to place on their items, including pencil cases, notebooks, lunch containers, and more. All names on one page in a single size and font. Neither choice is better than the other, it is a personal preference. I’d suggest between $10 and $15 for and 8.5″ by 11″ sheet of names. You can expect to fit between 20 and 30 names per page, depending on the length of the name. One the sample sheet shown in the photo below, the largest name I made was 3 inches long and 21 names fit on the sheet plus 5 initial sets. Transfer tape. Don’t forget to apply transfer tape to your name decals before shipping them out to your customer. Customer instructions. Don’t forget to include instructions for your customer. Here’s a few free sets. Easy to weed fonts. 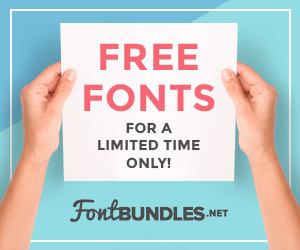 Choose fonts that are easy to weed so this quick money maker doesn’t become a chore! What about heat transfer vinyl? You could make this same idea work with heat transfer vinyl (htv). This would allow parents to iron names onto backpacks, clothing, and more. If you give this a try, you can include this instruction sheet with your orders. Now, get out there and cash in on back to school time! Are Custom or Personalized Products Worth It in Your Silhouette or Cricut Business? Love this idea, Christine!! Why not use Oracal 651 because doesn’t that adhesive stick better? I guess I’m thinking parents are putting the names on personal items and not items loaned by the school. What grades were these sheets most appealing to? I can definitely see elementary (my 3rd graders would have LOVED these!!). Did you give any kind of application instructions with the sheet of stickers? I am having trouble finding the instructions. The link above takes me to mug instructions…are they the same? I don’t have an instruction set specifically featuring school items, the process is the same as for mugs. Correct. If you wanted a uniform size, you could also use “Object”, then “Replicate” – it’s faster than cut and paste. how do they use names on different items if a full sheet of transfer tape is covering all the names? Customers can use scissors to cut apart the decals and then apply. What are some of the commercial use fonts would you suggest to use? I’ve ran into so many that don’t cut/weed well AND there are so many available. Is there a way to type a name and copy it in the different fonts without having to type them individually in Silhouette Studio? No, there isn’t any type of function like this, but honestly, it doesn’t take long at all. Correct. I’m pretty sure that Kris was looking for more of a data merge feature where this could be done automatically (similar to Word or InDesign). Hi, love all the helpful information! I’m curious what sizes you make the names for back to school sheets? If different sizes wondering what range I should go with for the names. Mine varied from 1 inch to about 3 inches.